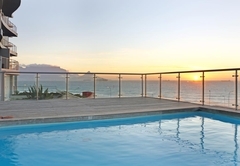 Horizon Bay 103 is a property providing self catering in Bloubergstrand for up to 4 guests visiting the Blaauwberg region. 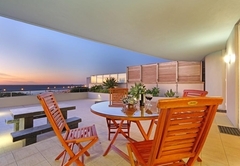 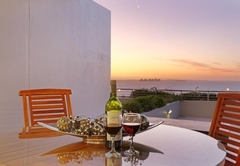 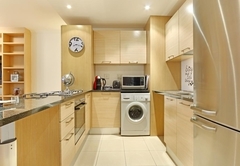 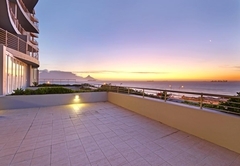 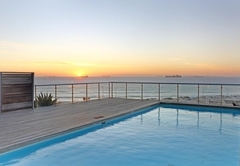 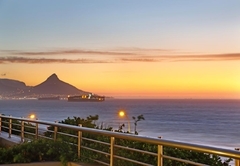 Horizon Bay 103 is charming two bedroom holiday apartment in Bloubergstrand. 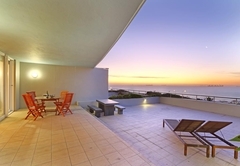 Horizon Bay 103 offers self-catering accommodation including all the right features for a memorable stay in this popular Cape Town seaside suburb. 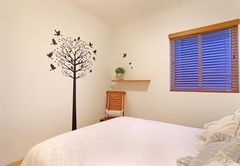 The two bedrooms are furnished with double beds. 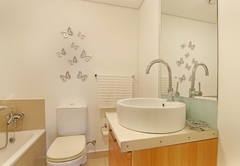 Two bathrooms are available, one of which is en suite. 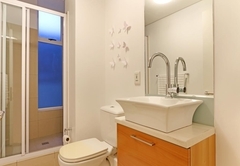 One bathroom includes a shower while the other a bathtub. 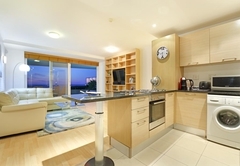 The main bedroom has access to the balcony as well. 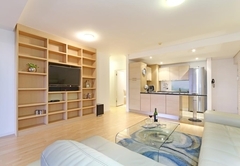 The quaint and roomy interior, decorated in light tones, features an open plan kitchen and lounge, which leads to a spacious balcony. 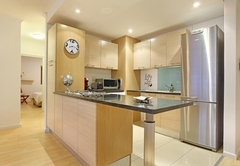 The kitchen with contrasting granite-topped counters, is fully equipped, including an oven, microwave, coffee plunger, washing machine and fridge, among other conveniences. 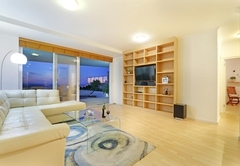 The lounge, with a plush L-shaped couch, comprises a large flat-screen TV complemented by a DStv bouquet, DVD player and stereo system. 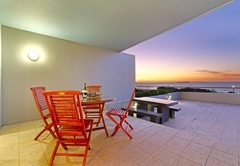 The balcony includes two casual dining areas, perfect for entertaining visitors, as well as sun loungers, making it the ideal setting to relax and enjoy the view of the beach, ocean and the partial view of Table Mountain in the distance. 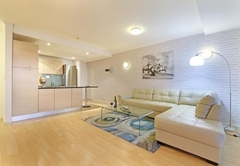 Additional features of the apartment include use of Wi-Fi internet, barbecue facilities, secure parking in a bay and 24-hour security. 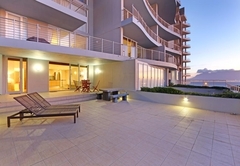 Horizon Bay 103 offers guests an ideal location, close to the restaurants, bars and cafés of the area, as well as the main road, granting a direct route towards the energetic City of Cape Town in one direction and the West Coast in the other. 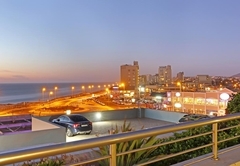 The nearby beach provides the ideal area for a stroll while you enjoy the view that will be sure to include the sight of kite-boarders that frequent this area. 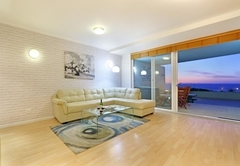 Response timeHorizon Bay 103 typically responds to requests in 5-10 minutes.